At present there are 3 databases. 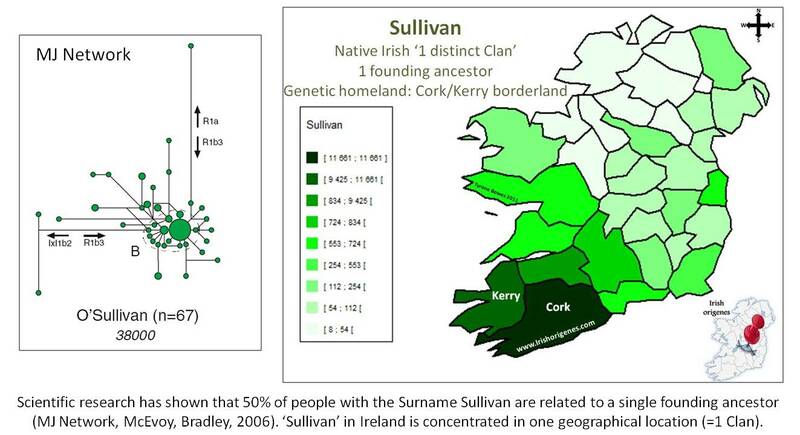 The first is a Surnames database consisting of over 4,500 Surname distribution maps for Surnames associated with Ireland. The data used to compile each image (sample below) was obtained from the 1911 census of Ireland. The Maps can be browsed alphabetically and detail whether the Surname is of Native Irish, Viking, Norman, Gallowglass, or later Scottish or English origin. 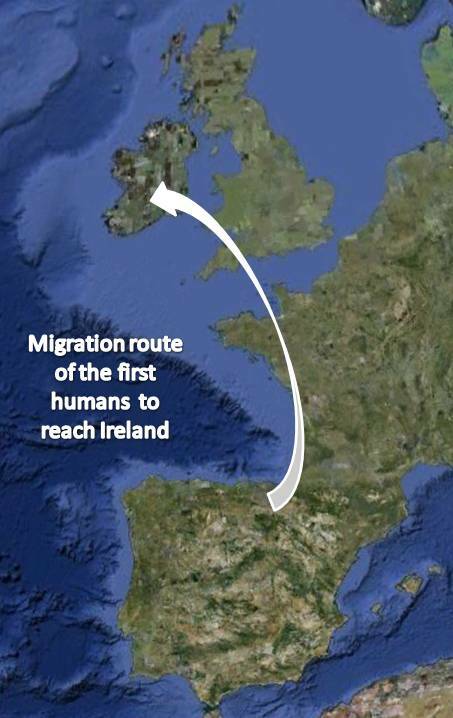 If the Surname is of Native Irish origin then details are provided on the number of Clans that use this Surname, location of the ‘Genetic Homeland(s),’ and where possible the known genetic cousins/related Clans. The precise location of a Surname within a County can be found on the Surnames of Ireland Map. Since the Normans arrived later and conquered large areas of Ireland, they also built their Castles where they settled, hence the castle locations tend to reflect the major areas of settlement of particular Norman Families. This second database is called the Clans and Castles database. There are over 400 Clans and Families that built nearly 1,400 Castles. Each image (sample below) on this database details both the Surname distribution of the Surname along with the position of the Castles associated with that Clan or Family. The precise coordinates for all Castles can be found on the Castles of Ireland Map. The final database is an interactive map of Ireland where one can zoom in and examine each of the 1,400 Castles that I have identified throughout Ireland. These Castle locations were used to reconstruct this Clan Map of Ireland.